Three Kingdoms: 220–280 CE. It is the period following the end of the Han dynasty when China was divided into three kingdoms: Wei (魏, Wèi), Shu (蜀, Shǔ), and Wu (吳, Wú). China was eventually reunified by Sima Yan, the founder of Jin Dynasty in 280 C.E. In this post, you will learn about the three kingdoms, the key players in this period, and major battles responsible for the control of Cao Cao in the north and the formation of division of the three kingdoms. 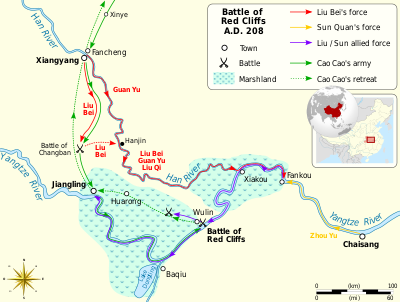 Guandu Battle (208 C.E.）firmly established Cao Cao’s leading position in the north after defeating his rival, General Yuan Shuai. After the battle, he successfully united the north in China. Cause: Cao Cao attempted to unify China. 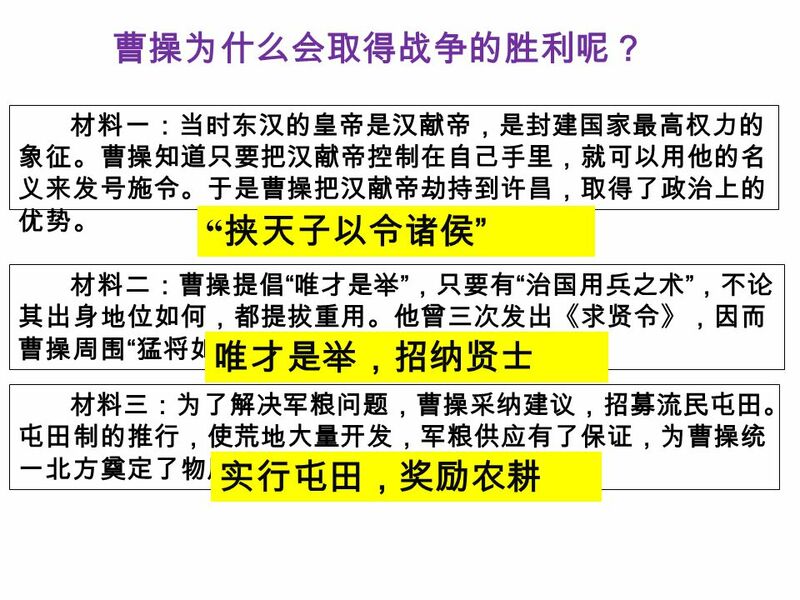 Consequences: After the battle, Cao Cao was defeated and China was divided into three kingdoms.